Oregon Scientific DN618 BoopLight White Whale Touch Tap Night Light features a portable design which makes it a perfect decor for the baby nursery, bathroom, or bedroom. The BOOPLIGHT glows with a soft light which creates a calm atmosphere for a relaxing mood. 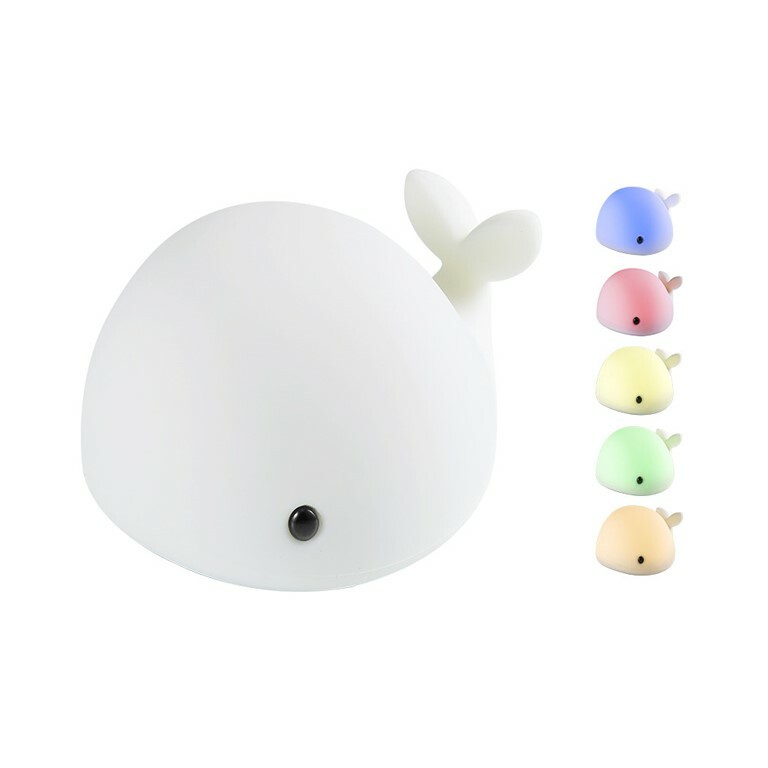 A bright light can be chosen for reading and the BOOPLIGHT Whale offers 4 additional colors. The BOOPLIGHT is made with a soft and smooth finish allowing the tap sensitive sensor to be activated rapidly, for color change. Different color choices - just tap the whale! The has been the best night light for our daughter. It is a soft rubber and you just tap on the top of the whale or the tail to change the colors. She is able to plug in the micro usb charging cable and it still provides a nice glow when it is charging so she is never without the light. Much better than the many other night lights we have attempted! Looks nice in her room as well and is out of reach of younger siblings that like to play with things plugged into the electrical outlets. Happy with it!